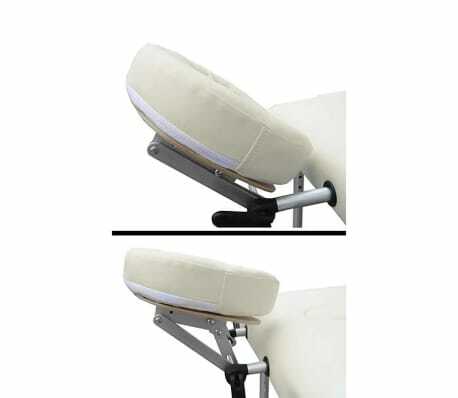 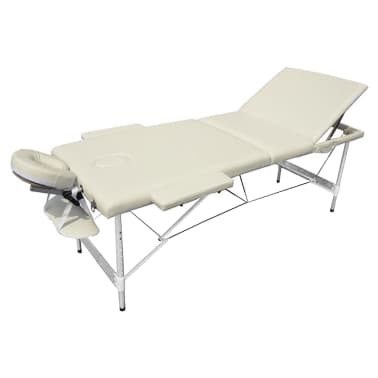 The 3-zone foldable massage with aluminium undercarriage is suitable for massages, shiatsu and reiki. 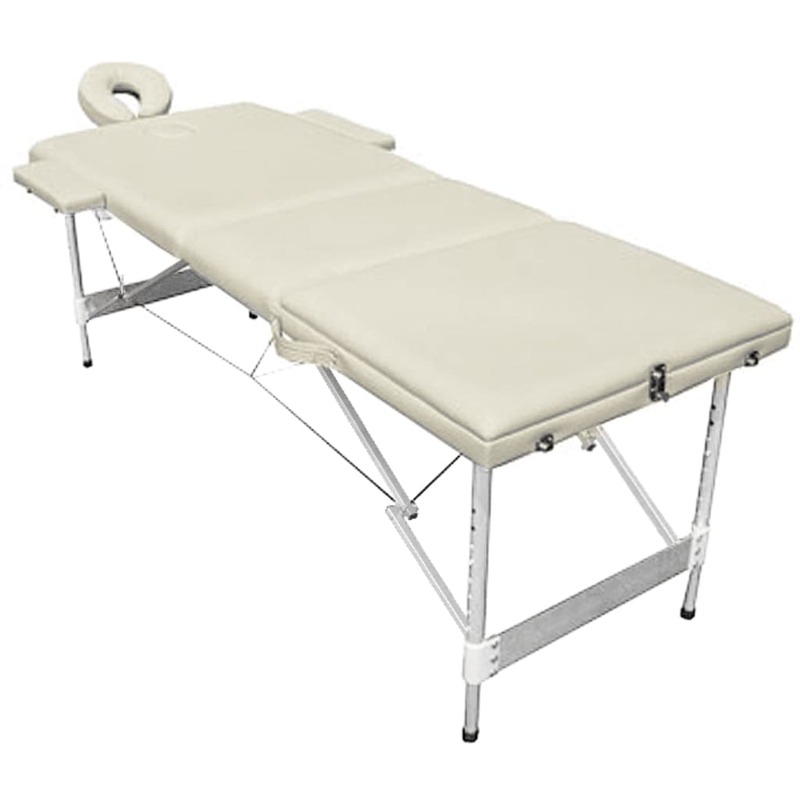 The 50 mm thick foam coating of the treatment table gives its user great comfort and is resistant to disinfectants and massage oil for a long life use. The massage table has a headrest and 3 arm supports. 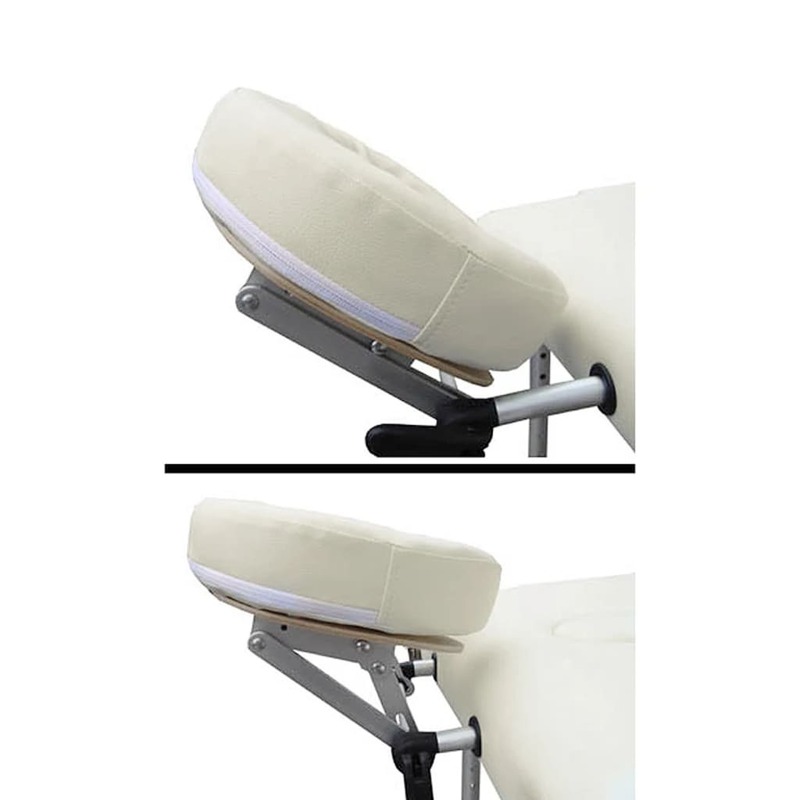 The headrest and arm supports as well as the height of the table are adjustable to enable its user to lay in a most comfortable posture. 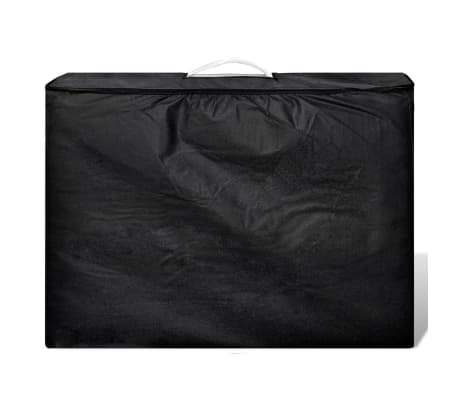 This table can be folded in the shape of a suitcase, weighing approximately 13 kg and with the included carrying bag is easily transported and stored away.